BLOOMSBURG, PA (April 26, 2016) – Responding to the market’s need for reliable intelligence about today’s Learning Management Systems, Talented Learning, an independent research and analysis firm, today announced the launch of its new publication, LMS Almanac: Corporate Edition 2016. 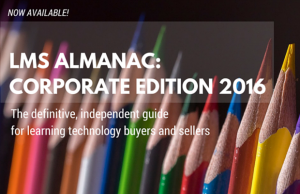 Available immediately for digital (PDF) download, the LMS Almanac: Corporate Edition is the first in a series of authoritative reference tools Talented Learning is publishing this year. All are designed to help training technology buyers make better-informed purchasing decisions, while simultaneously helping LMS vendors better understand today’s fluid competitive environment. "Learning professionals deserve information they can trust and act upon," said John Leh, Talented Learning CEO and lead analyst. 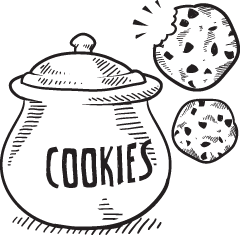 "They want insights that cut through all the sales fluff. This is why we’re fiercely dedicated to offering an independent and discerning eye on the many factors that influence LMS design, development, and future directions." In recent years, the Learning Management Systems space has ballooned to nearly 700 vendors. This makes LMS evaluation and selection much more challenging. The LMS Almanac was created to simplify this process, with all the comparative data and insider advice corporations need to find the right solution faster, and with a higher level of confidence. Every word has been rigorously researched and thoughtfully developed by lead analyst, John Leh, and his partner, Joelle Girton, COO of Talented Learning, LLC — both of whom are 20-year elearning industry veterans. In conjunction with the launch of the LMS Almanac, Talented Learning recently hosted a live webinar, "The State of the 2016 LMS Marketplace", where John Leh outlined relevant learning technology research highlights. A recorded version of this free web event is now available for replay here. For more details, or to buy the LMS Almanac: Corporate Edition 2016, visit the Talented Learning website. Talented Learning is an independent research and consulting firm devoted to helping organizations of all sizes choose and use modern LMS solutions and related technologies for their unique business needs. With nearly 700 Learning Management Systems available today (and more innovation constantly on the horizon), finding the right LMS can be overwhelming. Our research helps organizations at every stage of the learning technology implementation lifecycle, from business case development and requirements definition to vendor selection. For more information, visit or send email inquiries to: talented (at) talentedlearning (dot) com.